From an upstairs window this morning, I noticed a single set of animal tracks tracing a dotted line across our backyard snow. 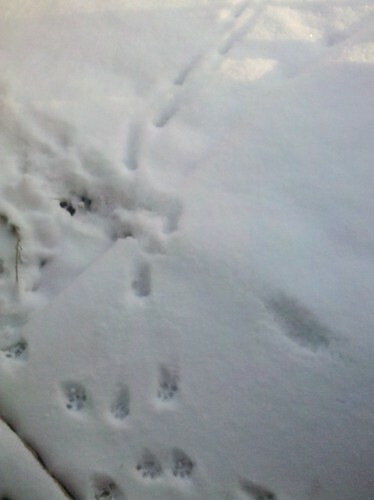 They seemed to go straight from the woods to our back door, which I found odd, since all our cats were inside all night. I didn’t capture it very well, but the visitor – I assume it’s a black cat that wanders the neighborhood – apparently crept around the edge of the house, put a pair of paws on the doorstep, then turned and walked across the yard. Yes, something DOES seem odd about that one in the middle. 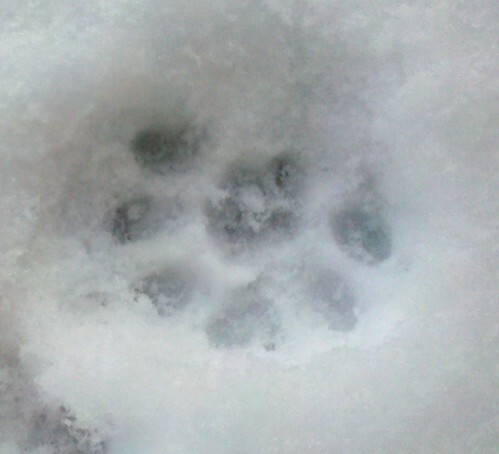 Here’s the thing: That’s the ONLY print we saw which had that sixth toe imprint, but it looks too clear to have been the result of lifting and re-planting the paw. 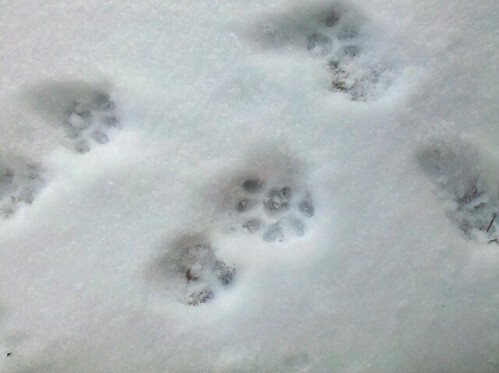 For some reason, I kind of like the thought of a six-toed cat running around.